Offset print poster, with original tags in felt marker. Edition of 300. 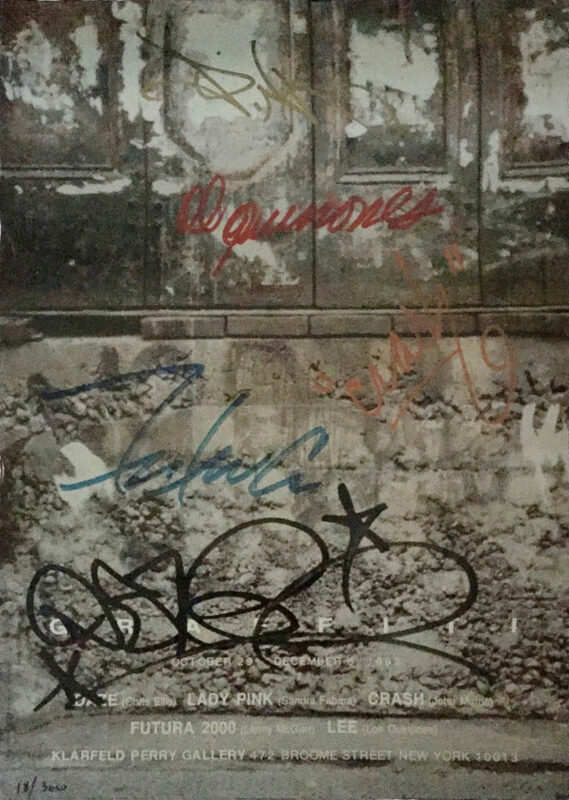 Graffiti art pioneers Lady Pink, Daze, Crash, Futura 2000, and Lee (Quiñones) each added their original signature tag to this poster (a photograph of a wall) for their group exhibition.